Marante, Carlos - Groelle & Salmon P.A. Mr. Marante joined Groelle & Salmon, P.A., as an associate in the firm’s Miami office in 2017. Prior to becoming an attorney, Mr. Marante obtained valuable experience in the areas of personal injury litigation and property and contract disputes. He graduated with a Bachelor of Arts from the University of Florida, and received his Juris Doctor from Barry University School of Law. 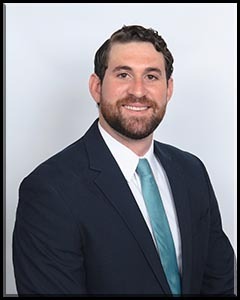 Mr. Marante now practices in the area of first-party insurance defense, with a focus on residential property claims investigation and litigation. Mr. Marante is fluent in Spanish.